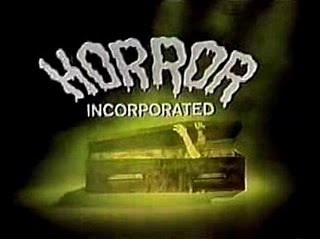 The Horror Incorporated Project: Interlude: Shock! And Son Of Shock! You're probably still trying to regain your composure after witnessing Frankenstein Meets the Wolf Man, so this is probably a good time for me to take a break -- and to explain why all the films we've seen so far are from Universal Studios. A bit of background might be helpful for my younger readers (assuming, of course, that I have any). I tend to jabber on a bit when talking about this sort of stuff, so please bear with me. When I was a kid there were only four commercial TV channels in the Twin Cities. Three of them were affiliates of the big networks (NBC, ABC and CBS), and one was an independent. In those days stations tended to lard their non-primetime hours with reruns of old TV shows (Hazel, Mr. Ed, McHale's Navy, I Love Lucy, etc) and with old movies. It seemed like there was always a movie running on some channel, from midday through the wee hours of the morning. But it wasn't always so. It took a while for movie studios to see television as anything but a threat, and relatively few studio titles were licensed for broadcast during TV's infancy. One thing that really helped to change this was Shock!, a package of 52 films licensed from Universal by TV distributor Screen Gems in August of 1957. The late-night "creature feature" format was largely built upon these films. And because these were titles that had previously been available only during theatrical re-release -- if they were available at all -- an entire generation of kids were seeing them for the very first time. 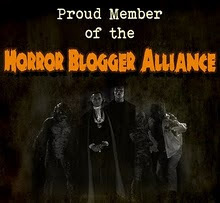 That led to the fondly-remembered Famous Monsters of Filmland magazine and to a generation of young filmmakers in the 1970s who had these movies burned into their brains at a young age. A year after Shock! was introduced, Screen Gems unleashed Son of Shock!, which sported an additional 20 movies from the Universal archives. Like many sequels, however, Son of Shock! seemed a bit flat and derivative. The films in the package tended to be pretty forgettable, with one exception: James Whale's Bride of Frankenstein. 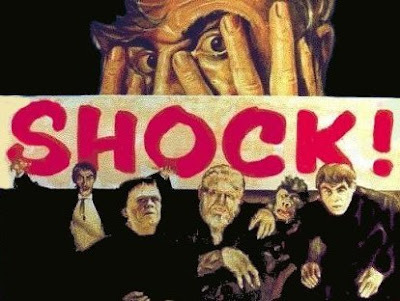 SON OF SHOCK was absolutely necessary because it filled in the gaps left by titles that should have been included the first time around. The Columbia titles were a nice bonus, encompassing more Karloff and Lugosi, but inexplicably leaving out THE RETURN OF THE VAMPIRE. 1944's THE SOUL OF A MONSTER, with Rose Hobart and George Macready, is listed as part of the package in the 1989 book "Universal Horrors." 14 SHOCK! features never aired on CHILLER THEATER.